Heather — Flute duet with backing track. This flute duet is taken from Blake's Young Flutist's Magazine, published in 1833. 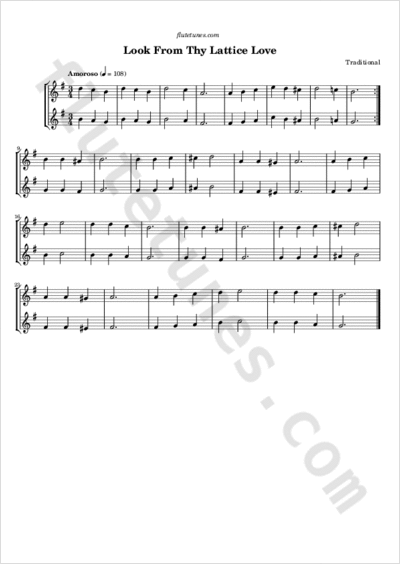 The piece appears to be an adaptation of a Spanish song known as “La Cachucha”, which had previously appeared in the Musical Gem, published in London in 1831. Freedom is here, Hither away, love, Hither away!